A great way to be in nature this time of year is maple syruping. 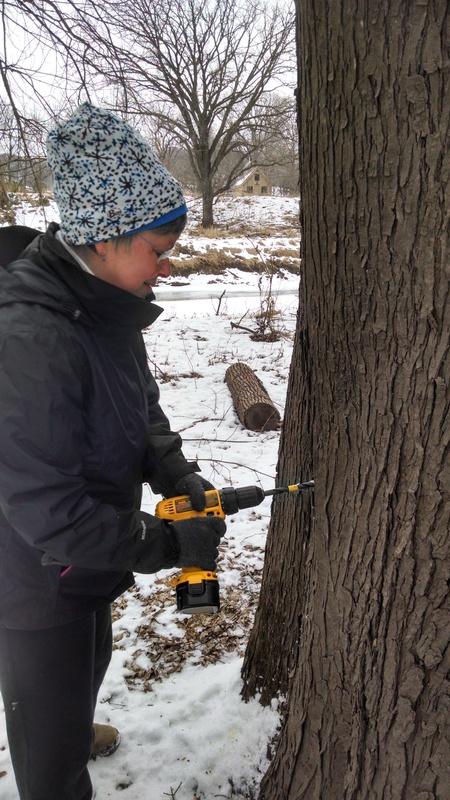 Annie taps a silver maple tree. Silver maples usually grow along creeks and river bottoms. When winter is still firmly entrenched but the change in the birdsong indicates spring must be playing hide and seek just under the snow, we take our power drills, our 7/16″ drillbits, our sapsacks and spiles, and head into the sugarbush. All maples have branches that come out directly opposite each other, in pairs. 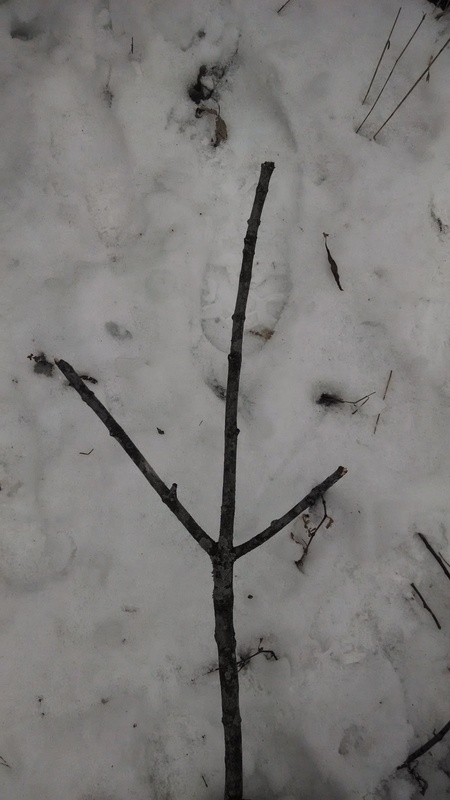 Look for young twigs to see the branching pattern, as older branches may be broken. All maple trees, including the sugar maple and the box elder, have opposite branches. Its one good indicator that the tree is a maple tree–the only other large tree in this area that has opposite branches is the ash tree. 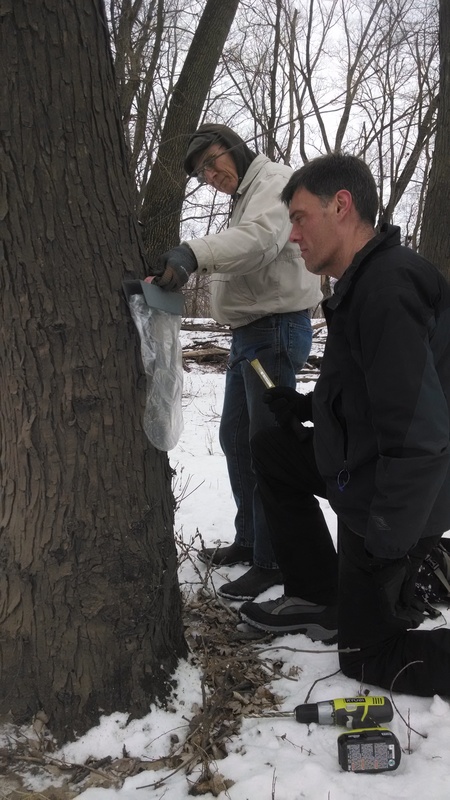 Jeff hammers in the spile, which spills the sap out of the tree, and hangs the bag to collect the sap. If you don’t have a maple tree, plant one! Maples grow quickly, which will allow you–or someone who comes after you–to enjoy harvesting the sap, boiling it into syrup, and living directly off the land. 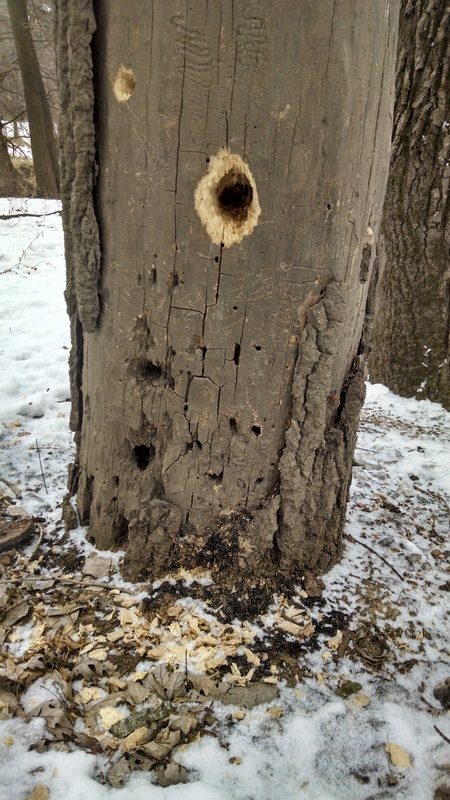 Hole tapped by a pileated woodpecker, hunting for insects. Unless a dead tree is threatening a path or building, they create rich habitat if left standing. Being in the Sugarbush is a great way to see who else is spending time in the woods and what they are eating. As soon as it warms up a bit and the sap starts running, we’ll be back every warm day over the next five weeks to gather it. The repeated trips to the forest over the next five weeks will give us opportunities to explore the gradual shift into spring, as well as collect gallons of sweet sap. Visit www.indiancreeknaturecenter.org to learn more about syruping. 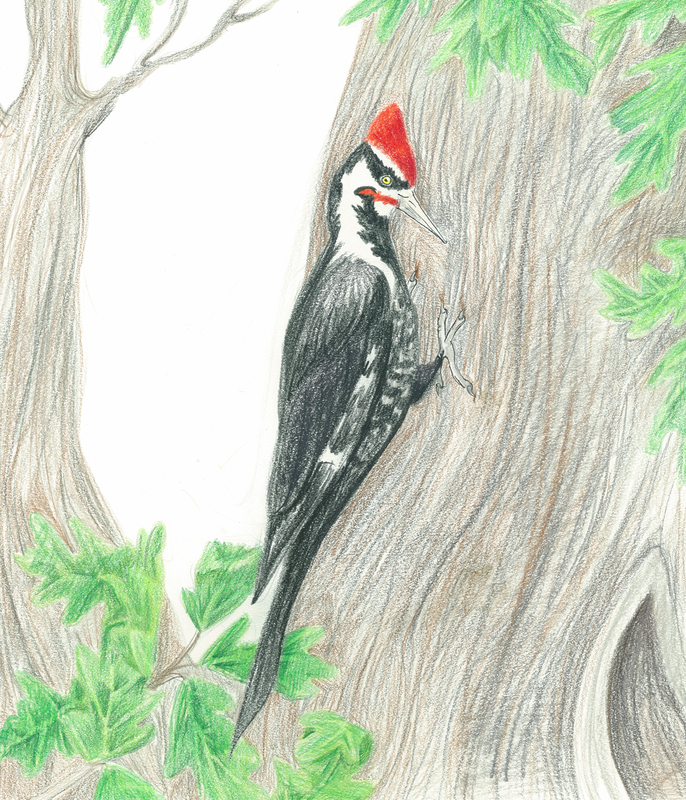 Pileated woodpecker by Gabrielle Anderson, from Hunting Red. Next > What is a Naturalist?